On the first exploratory voyages to Antarctica, in addition to those brought on to take observations of the different branches of science, there were artists. These men played an important role in keeping a visual record of the voyages and their discoveries. They made sketches, paintings, and later, film photography – many of them in the very same place they were exploring – in conditions that were often quite challenging. 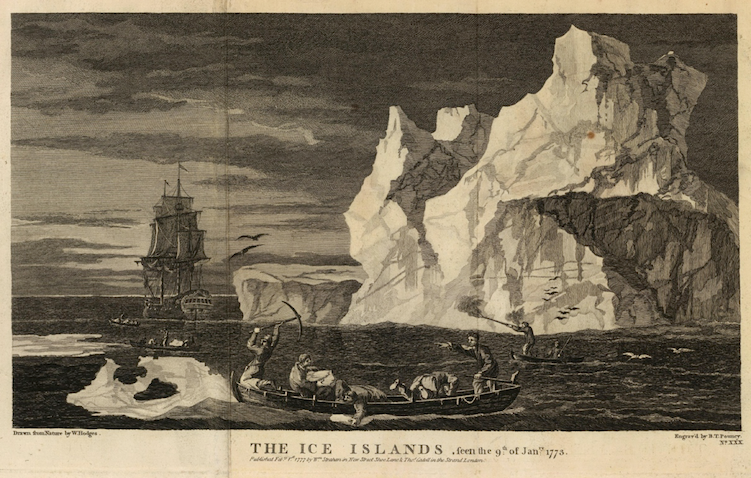 From the early times, there was W. Hodges who drew The Ice Islands on one of James Cook’s voyages (1772-75). In this drawing, he depicts some men on a small craft collecting ice with a pick, and another man shooting a bird (perhaps to study the species or to obtain fresh food or both). Edward Wilson (British 1872-1912) did some great work during Robert Falcon Scott’s expeditions. 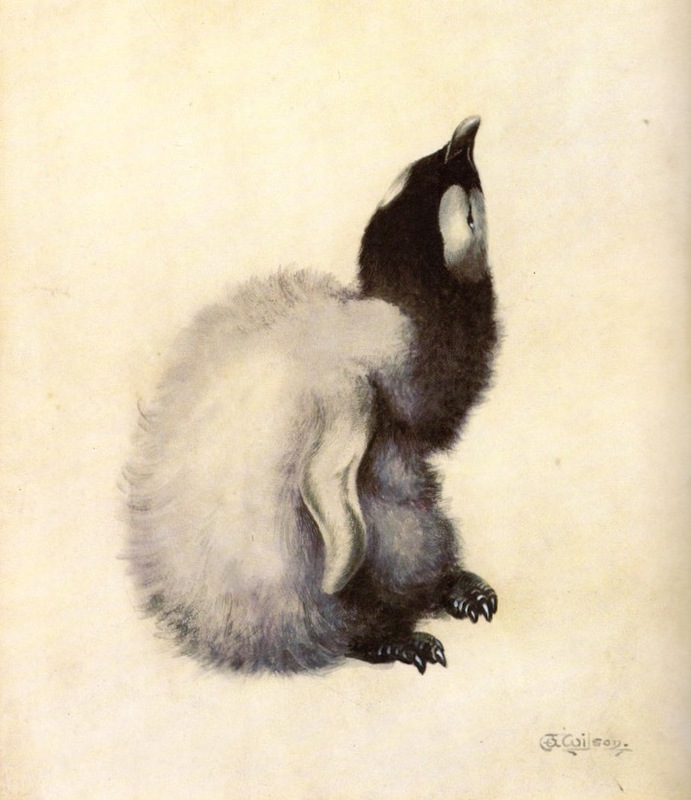 His watercolours are regarded as some of the most beautiful pieces of art created in Antarctica. Now and then some of them are offered, for a couple of thousand pounds, in prestigious auction houses. 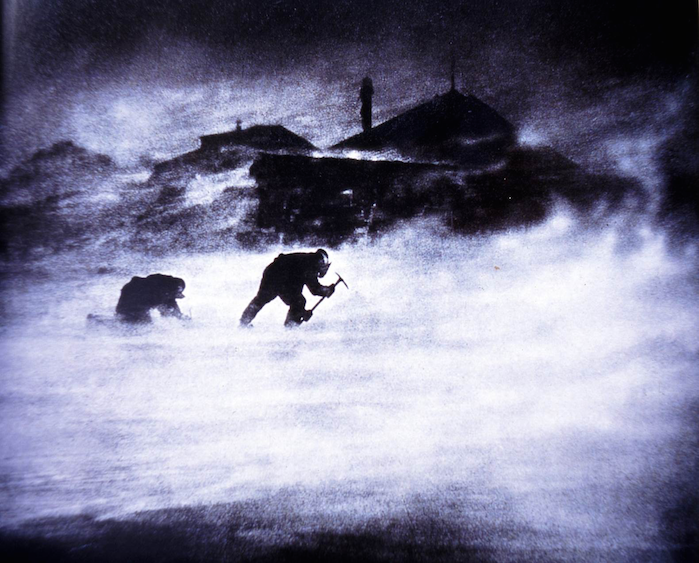 As for photographers, probably the favourites are Herbert Ponting, associated with Scott’s voyages, and the Australian Frank Hurley, who took part in Mawson’s and Shackleton’s expeditions. Ponting and Hurley took some of the most iconic images of the Heroic Age of Exploration (1892-1922). They would do everything in their power to get the best shot, and the effort would pay off. Even though these images were taken for testimonial record, they transcended their utilitarian function and became pure art. Nowadays theirs and others illustrate hundreds of books and are displayed in renowned exhibitions. 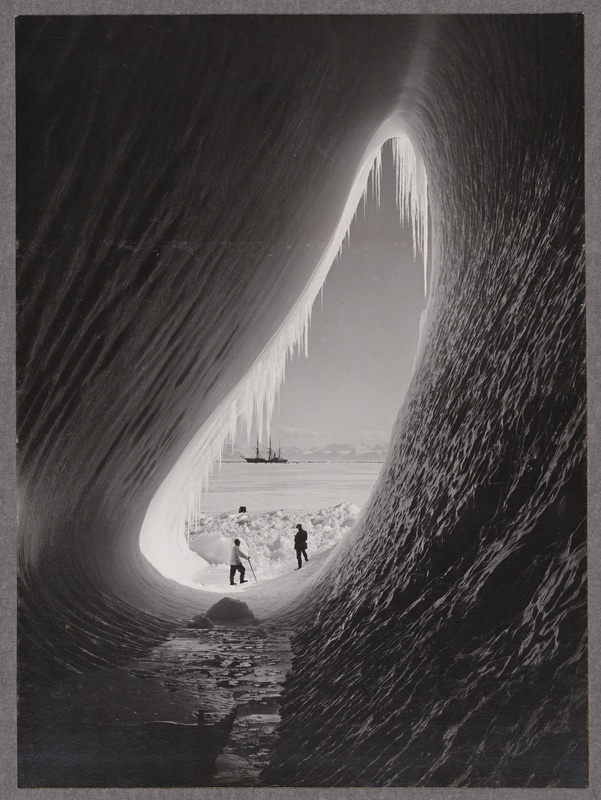 Grotto in an Iceberg by Herbert Ponting during the Terranova Expedition. Below is an illustration of a Weddell seal drawn by James Weddell himself. Weddell was not as gifted an artist like some of the later explorers, but his images have a certain naïve charm. Many artists continue to visit this ice realm, immortalising the landscapes and the wildlife. And no matter how well captured, their art can never do the place justice. The scale and purity of Antarctica is something you can’t imagine or represent – pictures are just a trigger to a memory.